The newest Hornet enlists the help of friends and former teammates for his hilarious latest video. What does it take to be an NBA player? (Besides the basketball part.) 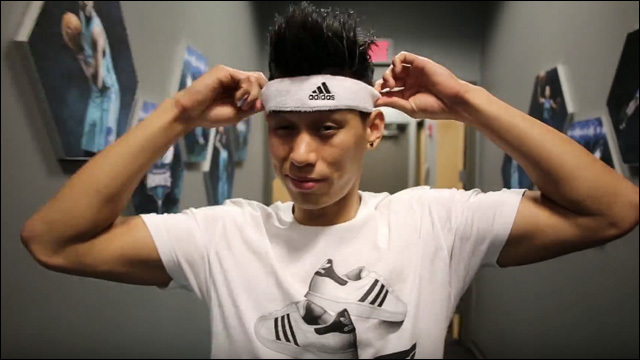 Jeremy Lin has been playing in the NBA for a minute and knows what's up. In this video, dispenses some advice on How to Fit in the NBA, enlisting the help of friends and former teammates like DeAndre Jordan, Tyson Chandler, Dwight Howard, Steph Curry and more. They cover all the league basics, such as communication, greetings, music and fashion. Sorry, Jeremy. I think it's clear that the real star of this video is Riley Curry.